The UltimateDownlineBuilder's Guide to Success. : STOP! DO NOT do anything until you have read this. The UltimateDownlineBuilder's Guide to Success. The easy way to build multiple TOP online business', all linked to each other through The 7 Day Success Plan and it's incorporated core programs, using just one link. STOP! DO NOT do anything until you have read this. First of all, I highly recommend you treat this as a totally separate business from everything else online. The second for advertising programs, as these tend to generate a lot of mails and you don't want them to bury any important mails/updates you might need. .
Secondly, using the gmail account you set up for advertising sites, join ALL 'Recommended Advertising Resources' as a FREE member and use the FREE advertising to promote your UDB link. You NEVER need to promote any link other than that one, as you will have entered EVERY referral link you have within the Downline Builders in here. Make sure you check out MY personal bonus' at my sites and also any other 'Admin Offers' (lots more coming soon). FREE advertising can be as responsive as paid advertising, especially as, if we are ALL promoting the SAME program in the SAME places you get what is called 'saturation'. ie. the more people see a program being promoted, the more likely they will be to join too. Using the gmail account you set up for your programs you can start joining our 'Partner Programs'. 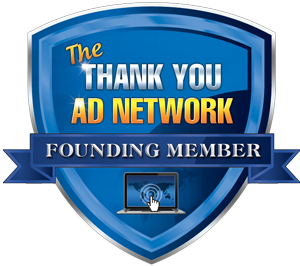 Make sure you know who your UltimateDownlinebuilder (UDB) sponsor is by logging in and going to your 'Stats' page. If you have NO SPONSOR showing, make sure you contact me asap. You MUST have a sponsor before you upgrade your account or any commissions will be forfeited. If you know who your sponsor should be or would like to nominate a sponsor, contact me with their details and I will transfer you over, otherwise I will allocate a sponsor to you. If your sponsor has NOT entered their ID into the builder, please contact them before joining any new programs. This will give them the chance to join and/or add their IDs ahead of you. The whole point of joining a downline builder is that you join EVERYTHING under the SAME sponsor so you can get/offer the support you need to build relationships and create a strong TEAM. If you are already a member of any of the programs you DO NOT need to join again (unless you want to), simply add your ID in the updater and move on. Should you decide to join a program you are already a member of again under your UDB sponsor, make sure you contact the program admin for approval first. In some cases the admin will be able to transfer your account over to your preferred sponsor saving you the bother of rejoining and changing your username etc, also doing this WITHOUT approval could end up with your accounts being suspended or worse deleted. Oh yeah, VERY IMPORTANT! Make sure every time you join a new site, you return to the Downline Builder and add your ID. As most programs are linked to each other, you should ALWAYS go to their Downline Builders and add your IDs in them too. If you suspect your sponsor has NOT already joined any program or resource site you wish to join, please, please, please contact them before joining yourself. In fact, you should always contact your sponsor and/or referrals to build a healthy working relationship with them. You can find their contact details in your 'Stats' tab here at UDB. If you haven't already, make contact now and introduce yourself, I'm sure they will be glad you do. Now move on to my What to join and when recommendation page if you still need some advice on how best to proceed. Inactive accounts set to be deleted. Please Read! JOIN ANY/ALL OF THE SITES BELOW AND SEND ME A SUPPORT WITH YOUR USERNAME HERE AND AT EACH SITE TO GET A FREE 468X60 BANNER AD WITH 10000 IMPRESSIONS FOR EACH ONE YOU JOIN. 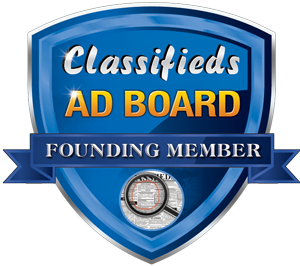 UPGRADE AND GET 1 EACH TOP AND BOTTOM ROTATION BANNER ADS WITH 100,000 IMPRESSIONS FREE (value $300).